Securely store your passwords. 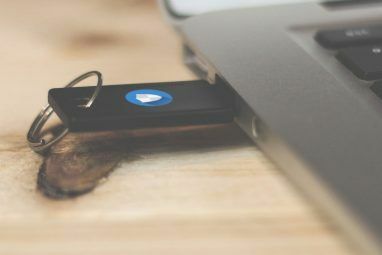 Complete with encryption and a decent password generator – not to mention plugins for Chrome and Firefox – KeePass Password Safe just might be the best password management system out there. If you read our password management guide you will know the importance of having diverse passwords. Sure, using one password for all of your online services is simple…until someone compromises one of your accounts. If all of your passwords are identical your online life is a house of cards. KeePass Password Safe is a completely offline approach to password management, though you can combine it with cloud services like Dropbox if you want. Before you can use KeePass you need to create a database. You’ll be prompted to do so the first time you run the program, and the main thing you need to do is specify a password. Take this password seriously – it’s going to be the one thing protecting your various passwords from anyone who gains physical access to your computer. It’s the key that will encrypt your database, so the longer – and the harder to crack – the better. Once you’ve set up your account you’ll see the main interface of KeePass – essentially, a list of user accounts. Give the account whatever “title” you want – that’s there for your purposes. You’ll obviously want to include the Username and password, but including the URL can also be helpful – especially if you plan to use browser plugins. More on that later. Your password will be rated for security, and if you’re having trouble thinking up a secure password there’s a generator. Relying on such services is sometimes not recommended – no such software is perfectly random, meaning hackers could potentially exploit a pattern – but the optional entropy option can help. If you currently use one password for every online account…stop. 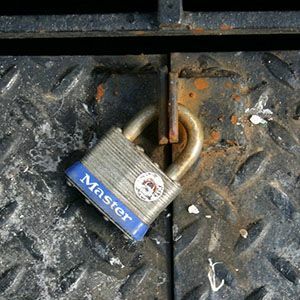 While you’re setting up KeePass, it is a good time to lock things down, and the password generator can help you make secure passwords. Adding your accounts, one at a time, while changing your passwords, can take a while – but real security takes work. Learn the keyboard shortcuts indicated here for quick access – you’ll like it. It’s also worth noting that there’s a search function. If you only use KeePass to store a few passwords this isn’t a big deal, but believe me, when your collection grows to 200 or 1,000 you’ll be thankful this feature is here. 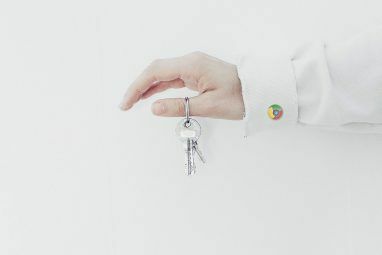 Do you like the idea of offline, encrypted password management, but also want browser integration? KeePass has you covered. A large collection of plugins allows you to automatically fill in forms on Firefox, Chrome and even Internet Explorer – and do a lot more. Check out the KeePass plugins here. There’s a lot to explore here, and it goes well beyond browser integration. Be sure to explore if you want additional functionality. Ready to check out KeePass Password Safe for Windows? Head to the download page at KeePass.info. You’ll find both an installer (EXE) and a portable version (ZIP). You can also download a portable version at PortableApps.com, if you want. Are you not a Windows user? Then you should check out KeePassX, which works on Linux and OS X KeePassX - Secure Password Management For Linux & OS X KeePassX - Secure Password Management For Linux & OS X Read More . 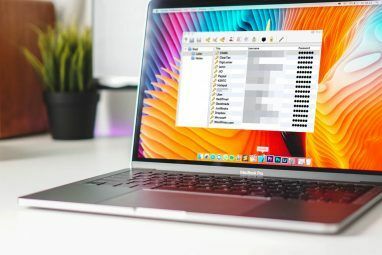 There are some incompatibilities, so be sure to check out our KeePassX review KeePassX - Secure Password Management For Linux & OS X KeePassX - Secure Password Management For Linux & OS X Read More to work all of that out. There are other versions of KeePass, including KeePass Android. Check out the download page at KeePass.info for a complete list. Do you love the idea, but wish you could sync your database to other devices? You can easily use Dropbox to sync your database Achieve Encrypted Cross-Platform Password Syncing With KeePass & Dropbox Achieve Encrypted Cross-Platform Password Syncing With KeePass & Dropbox Read More , and because it’s encrypted you’re protected from vulnerability. Any syncing service will do, too – you’re not limited to Dropbox. Do you know of any other good KeePass Password Safe tips? Share them below, so everyone can benefit. I’m looking forward to reading your ideas. Explore more about: Encryption, Password, Password Manager, Portable App. How to Create a Bootable USB Drive From Your Windows CDDid You Know Windows 8 Has a Built-In Time Machine Backup? This article deserves a refresh, for several reasons. 1) The number of plugins is huge, and allow people to accomplish a lot more than just password storage and retrieval. 2) You can store other things like secure encryption keys, (software) registration details, software keys, upgrade executables, etc in the database. 3) There are several flavors of KeePass to run on different systems, including 2 for Android now. 4) It includes a bevy of automation tools, especially for use with 2 step authentication / 2 factor authentication systems. Guys, I know this is a very old thread, but what the hay...I've been using Dashlane for a month, and it's great, but KeePass suddenly jumped out at me with FREE. Such great ratings, and apparently a variation for every interface I own (Android, Windows Chrome, ChromeOS). Dashlane has this super cool way of scanning and entering all of your present passwords and then offering you security ratings on each. Does KeePass do any of this? At the minimum I'm looking at the auto-scan feature. Entering several hundred passwords and their minutiae isn't very appealing. And if KeePass doesn't offer this...is there a free app that does? Kelsey, it's been a long time since I wrote about KeePass and I don't know about an import tool, but I don't think there's one that does what you're looking for. Actually, Justin, immediately after finishing my last comment I dove into KeePass and found that the import from Dashlane is baked right in now. And I don't know why sometimes it shows my real name here and sometimes my gaming name lol. I'm really glad it worked out! And I don't fully understand the comments system here either, I think it'll be replaced soon though. I've always thought that KeePass was kind of hard to work with. So I've always used LastPass. Choice is great! I'm glad you found something that works for you. I've used KeePass for years to generate strong passwords and store them. I have never found the need for a browser plugin because of the built-in "Auto-type" support: http://keepass.info/help/base/autotype.html. I also use PassDrop on iOS and KeePassDroid on Android. Lastpass if you want to use it on android requires you to have a PAY account....for no apparent reason other than greed.....so if you want password management on desktop and phone keepass seems the way to go...the problem I have is I currently use lastpass for form filling on desktop and I'm not sure the two are going to co-exist nicely in browser. Justin Pot...kinda like "On the Pot" and in both cases....talking alot of crap. People will always choose a free alternative given the choice. Keepass is open source and free. If a company wants to profit in the modern world it has to provide a unique product or service and in this case lastpass doesn't. Funny, when I want nice things I buy them..maybe you need a better job? Keepass is free, and the article I wrote above obviously points to the fact that I love it. It's what I use, personally. But Keepass does not offer cloud syncing, meaning you have to set that up yourself, meaning they don't need to provide cloud space. Lastpass does – they aim to provide a service that syncs easily – and many feel it's worth paying for. You're not among them, fine. But don't just say there's no reason for this outside greed – there are reasons. Oh, and hilarious wordplay with my name. Seriously. Pretty clever. Not sarcastic. Seriously. It's never a bad idea to use this. I've been using KeePass for several years with no problems. It replaced my previous technique of using an excel document encrypted with Truecrypt. I haven't used it with any plugins, because I find the normal interface to be enough for me. I've used Keepass for years and love it. I recently tried LastPass and tried to move over to it, but lastpass doesn't work with 3rd party apps like Keepass does with the autotype feature. I still really like them both but will stay with Keepass. You can also use dual factor authentication, which is highly advised especially if you are putting your database in the cloud via dropbox. My 2 favorites are Keepass and Lastpass. They are simply the best! I am using Password Safe 3.30. It's Open Source. Easy to use. Almost have the same features. KeePass is also Open Source, by the way. I'll be sure to check out Password Safe! I'm sure the guy that hacked LastPass' website would agree with you. LastPass is great, but if you want your data to be secure encrypting it locally makes sense. It's about priorities – and everyone has a different one. I've used KeePass previously but I have converted to Dashline and it works great!!! Simple to use and integrates very well with Chrome. 1. Web passwords -- LastPass can sign in automatically. 2. Desktop apps passwords - Roboform can sign in automatically. That's funny, because I had one of the same issues with Lastpass. I didn't know you could use LastPass for 3rd party app autosign in. I use Keepass and auto sign into a number of apps and websites. I'll have to dig deeper now. LastPass - after their data breach, I won't trust them again. RoboForm - overly complicated (a pass file for every login? Wasteful of disk space) and $$$$. I had nothing but issues with KeePass in Firefox. The program would constantly ask me to save passwords that already were in the database and often had annoying bugs in Windows 7 x64. I wanted to like it due to KeePass's nice design and features, but eventually it drove me so nuts that I took advantage of a random giveaway and moved to Sticky Password. It is so much better! I've been using KeePass 1.24 Portable (not the new 2.x version) for quite some time, although I didn't like the Firefox plugin. I prefer to just copy & paste usernames (when needed) and passwords into my browser (I'm old-fashioned that way).